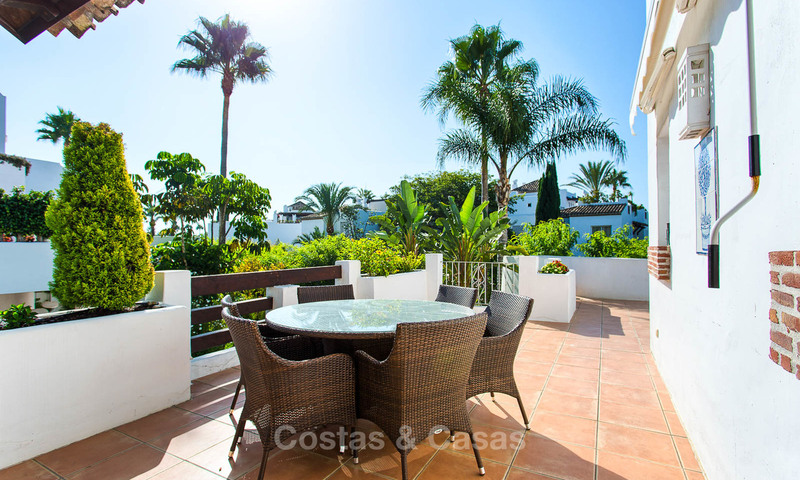 On the New Golden Mile, in an exclusive and well looked after beach front complex with 24h security. 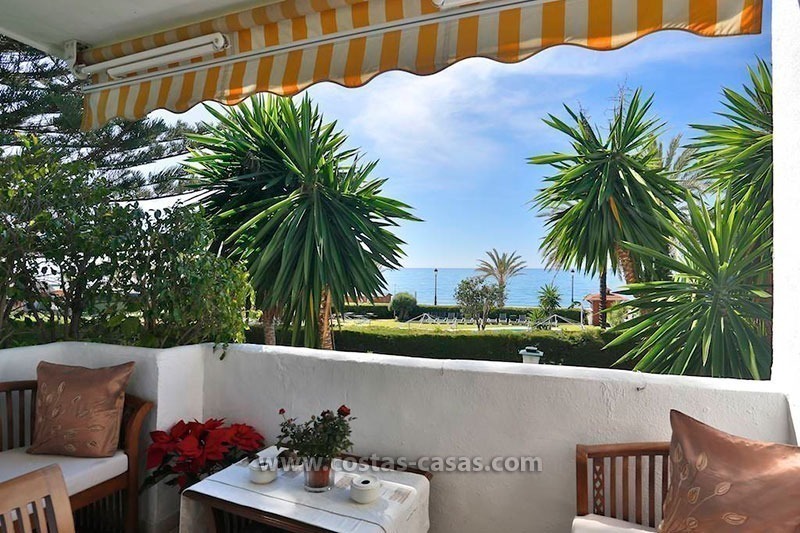 All amenities and the town centre of Estepona are within walking distance. 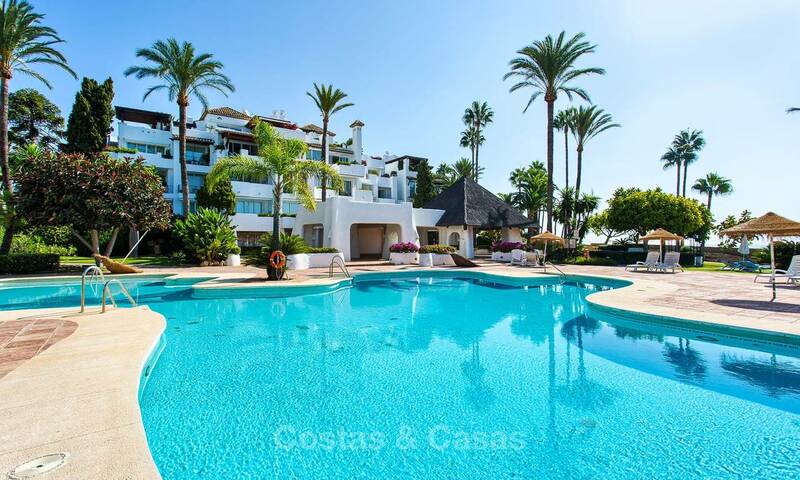 The complex benefits from direct access to the beach, several outdoor pools (one heated), gym, sauna, tennis courts, social club and a bar-restaurant in the high season, set within ravishing communal gardens. 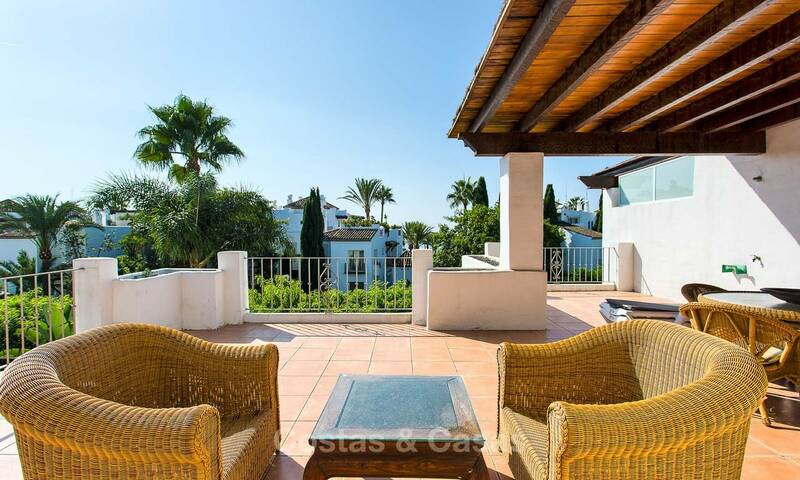 South facing with nice sea views from parts of the extensive terraces. 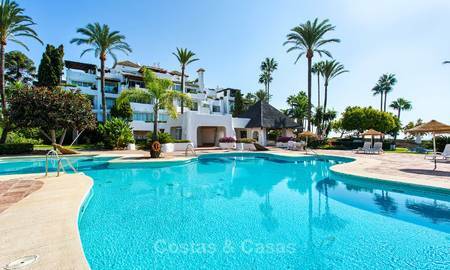 Exquisitely decorated (furnishings are included in the price), with a fully fitted kitchen, luxury finishes throughout, marble floors and generous, stylish terraces. Main floor: Living/dining area leading to the main terrace, fully fitted kitchen, 2 guest bedrooms (of which 1 en-suite) and 1 stand-alone bathroom. 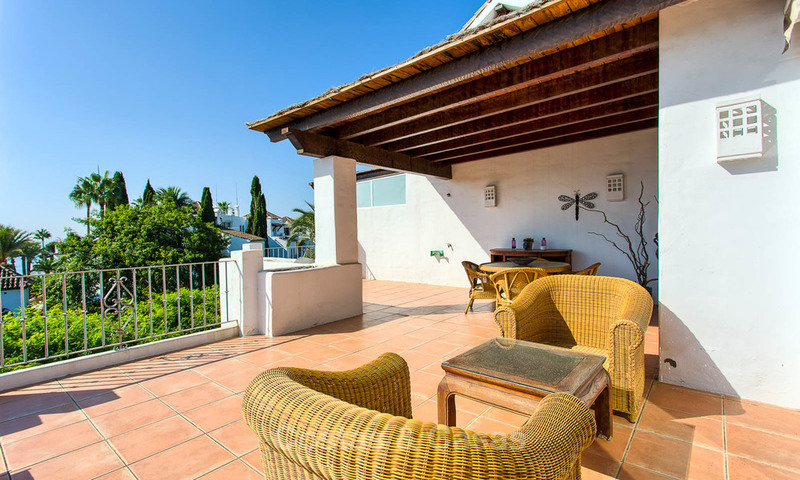 Upper floor: En-suite master bedroom with dressing area, large terraces with BBQ area. The penthouse comes with storage space and two garage spaces.